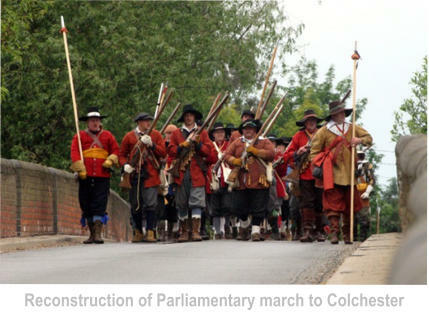 The siege of Colchester occurred in the summer of 1648 when the English Civil War reignited in several areas of Britain. 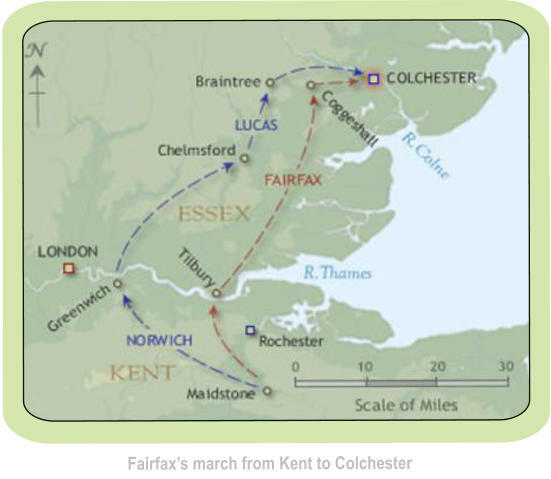 Colchester found itself in the thick of the unrest when a Royalist army, on its way through East Anglia to raise support for the King, was attacked by Lord-General Thomas Fairfax at the head of a Parliamentary force. 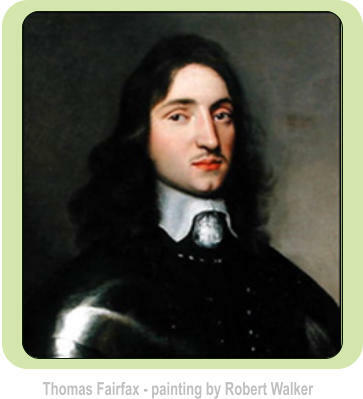 The initial Parliamentary attack forced the Royalist army to retreat behind the town's walls but was unable to bring about victory, so settled down to a siege. Despite the horrors of the siege, the Royalists resisted for eleven weeks and only surrendered following the defeat of the Royalist army in the north of England at the Battle of Preston (1648). There are various theories that St James was defiled by Fairfax’s troops during the march and that the church was used for horse stabling as part of the Thames crossing. Certainly the Rector William Palin believed that the “the strangely Gutted condition of St James, purged of everything in the way of ornament” (Ref 19) had been due to the wrecking of the church during the civil wars, as documented in his historic publication “Stifford and its Neighbourhood” in 1871. Certainly, at the time of the collapse of the tower in 1711, no fittings or valuables were in existence that pre-date this period, although as the Tilbury district was under parliamentary control, it is likely that some vandalising may have ensued during this wartime period. No actual documented evidence has been found of this desecration and it may be that stories of the defilement originate from an earlier period when wooden benches had been damaged and part of the church wall broken down by troops from the Earl of Leicester’s Army Camp in 1588 (Ref 20).